Tagged chandler, Chandler Unified School District (CUSD), health risk incentives, health success, valley schools, Valley Schools Employee Benefits Trust (VSEBT), VSEBT, wellness incentives, Wellness Incentives Work at Chandler Unified School District! That treat you just indulged in won’t just go from your lips to your hips — it might just go straight to your head. Middle-aged people with high abdominal fat are 3.6 times as likely to suffer from memory loss and dementia later on in life, researchers have discovered. The protein responsible for metabolizing fat in the liver is the same protein found in the part of the brain that controls memory and learning, researchers at Rush University Medical Center found. People with higher abdominal fat actually have depleted this fat metabolizing protein. “We need to better understand how fat is connected to memory and learning so that we can develop an effective approach to protect memory and learning,” said Dr. Kalipada Pahan, a professor of neurology at Rush University Medical Center, in a press release. The liver is the body’s main fat metabolizing organ. Peroxisome proliferator-activated receptor alpha (PPARalpha) is known to control fat metabolism in the liver. Therefore, PPARalpha is highly expressed in the liver. “We are surprised to find a high level of PPARalpha in the hippocampus of animal models,” said Pahan in a press release. “While PPARalpha deficient mice are poor in learning and memory, injection of PPARα to the hippocampus of PPARalpha deficient mice improves learning and memory,” said Pahan. This isn’t the first study to point to a healthy weight and diet as a way to avoid Alzheimer’s, which affects an estimated 5.1 million Americans. The Mediterranean Diet, high in omega-3’s and low in bad fats, has been shown to help preserve memory and thinking skills. Aside from a healthy, balanced diet, people at risk for memory loss have also been able to improve memory and neural efficiency just by taking regular walks. As if you needed another reason to trim that waistline. A new blood test can help detect the presence of early-stage lung and prostate cancers – as well as any recurrences of these diseases. In a new study presented at the Anesthesiology 2013 annual meeting, researchers have found that an increased level of serum-free fatty acids and their metabolites in the blood stream can help indicate the presence of lung cancer in the body. According to the study’s authors, such a test could be extremely beneficial for the detection and management of the disease. Sessler said that he and his research team stumbled upon these biomarkers for lung cancer while conducting an entirely different experiment. After making this discovery, the researchers decided to further analyze these potential biomarkers. 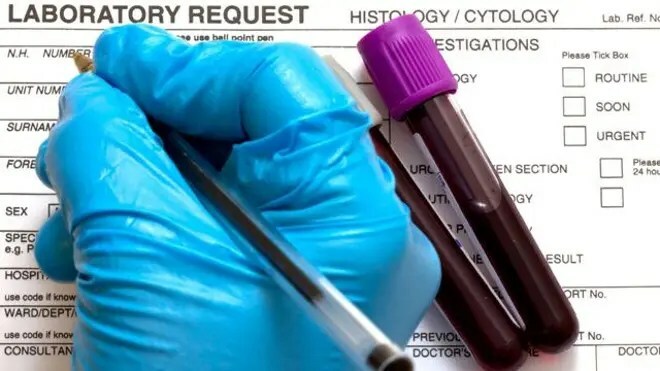 They examined blood samples from 55 patients with lung cancer and 40 patients with prostate cancer, comparing them to samples from people without cancer. The blood samples from the cancer patients had one- to six-times greater amounts of the serum-free fatty acids and their metabolites than the samples from cancer-free patients. In a second phase of the study, the researchers examined blood samples from 24 patients with lung cancer before they underwent curative surgery. They then analyzed the patients’ blood at six and 24 hours after surgery. The level of serum-free fatty acids and their metabolites decreased three to 10 times within 24 hours after the cancerous tumors were removed. 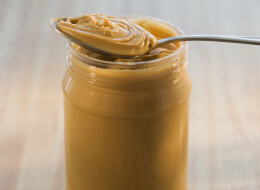 The researchers didn’t assess why the level of these compounds increased, but they said their findings are consistent with previous research on the relationship of serum-free fatty acids and cancer. “The three fatty acids are necessary for cancer cell growth, and some cancers stimulate the release of these fatty acids,” Sessler said. Though the blood test was shown to be effective in detecting the disease, the researchers argue that it should not be used as the go-to test for lung cancer screenings. However, it could be helpful for a certain population of patients. Sessler also said the blood test could be helpful for those who have already undergone lung cancer surgery to better understand if they will suffer recurrence. While other blood tests do exist for some cancers – most notably the prostate-specific antigen (PSA) test for prostate cancer – Sessler said this is still an exciting discovery for the future of lung cancer treatment. “Yes, there are some biomarkers for some cancers, but there’s no general cancer biomarker, nor has there ever been an established biomarker for lung cancer,” Sessler said. 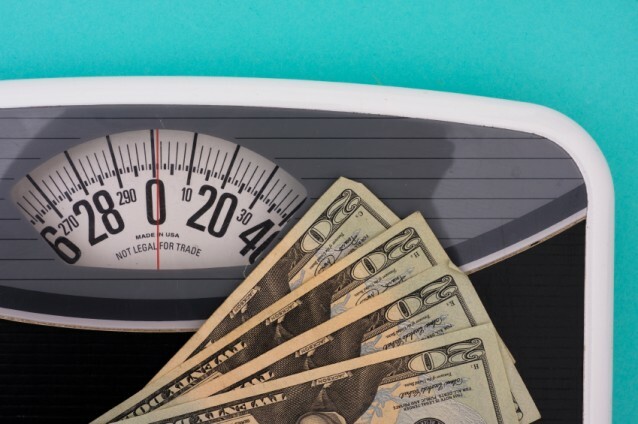 Financial incentives can be a very effective tool in encouraging employees to lose weight at companies that offer their workers those types of programs, research from a University of Texas at Arlington economics assistant professor shows. Joshua Price, a UT Arlington assistant professor of economics, teamed with Cornell University Professor John Cawley to perform a case study on an employer-sponsored program that offered financial incentives for weight loss. Price said the research studied four weight-loss options the company provided in its wellness package to employees. Option one was the control group. Participants signed up and participated in weigh-ins but there was no financial component to the intervention. Option two allowed employees to join a weight loss program for free and paid the financial incentives for losing weight once per quarter. Option three required employees to pay to join the weight loss program. This option then paid employees a refundable bond or rebate at the end of the year based on how much weight the employees lost. Option four was similar to the second except that the bonds were refunded every quarter instead of at the end of the year. Companies across the globe are becoming more and more interested in keeping their employees healthier, Price said. Price and Cawley wrote that businesses bear some of the costs of employee obesity. In the United States, obesity raises medical care costs by $190.2 billion annually, a 2012 Cawley study showed. Moreover, obesity is associated with $4.3 billion in job absenteeism costs annually, 2007 Cawley research showed. 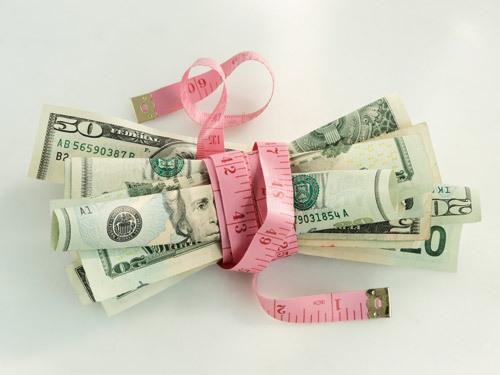 These costs may ultimately be borne by workers in the form of lower wages, but employers are increasingly offering worksite health promotion programs to help employees lose weight. Employers save on health insurance premiums and absenteeism. Plus, Price said companies could bargain for better health care rates when negotiating with carriers. 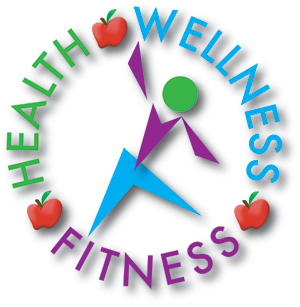 As of 2012, 94% of large employers (those with 200 or more employees) in the U.S. offer wellness programs, and among those offering health benefits, 65% offer weight loss programs in particular, according to a 2012 study. Price said it would be nearly impossible to measure the exact monetary effectiveness for companies who instituted these weight loss programs. “It is extremely difficult to quantify the resulting health benefits caused by weight loss from participants in this particular intervention,” Price said. Price noted that the deposit contracts were more effective at inducing weight loss, and it was less likely for the companies to lose money. When the companies refunded employees some of what they paid into the program, the mission had been accomplished: employees had improved their health. He said if the employees didn’t lose weight, the company kept the money employees had paid into the program. The Chandler Unified School District (CUSD) held its annual health fair on October 15, 2013. Each year the event is well attended by hundreds of people looking to improve their health and wellness. Vendors of benefits to CUSD are included as well as other health guests and screening staff. Darlene Kracht of the Valley Schools Employee Benefits Trust (VSEBT) helped coordinate and plan the event with the staff of CUSD as part of their ongoing membership. Cathy Giza and Dee Ostrowicki were key staff for the event for CUSD. Congratulations to CUSD for making such concerted efforts to help their employees and their families! Screenings were conducted for cholesterol, blood pressure and other health vitals. A collection of 60 co-expressed genes known as the Aspirin Response Signature (ARS) predicted both response to aspirin treatment and the risk of death or myocardial infarction among patients undergoing cardiac catheterization. The study suggests that a whole blood-based biomarker could be potentially used as a diagnostic test to identify those who are adequately responding to aspirin or not, and also to identify those individuals who are at highest risk for MI and death in patients who are taking aspirin. A collection of 60 co-expressed genes — called the Aspirin Response Signature (ARS) — predicted both response to aspirin treatment and the risk of death or myocardial infarction among patients undergoing cardiac catheterization, researchers found. The ARS was significantly associated with platelet function in two groups of healthy volunteers taking 325 mg of aspirin per day, and in a group of cardiology patients taking 81 mg of aspirin per day (P<0.05 for all), according to Deepak Voora, MD, of Duke University, and colleagues. In addition, among patients undergoing cardiac catheterization, the ARS was associated with a 30% increased likelihood of death or myocardial infarction (MI), even after adjustment for Framingham risk factors, race, platelet count, and presence of angiographic coronary artery disease (odds ratio 1.3, 95% CI 1.1-1.5), the researchers reported online in the Journal of the American College of Cardiology. Clinicians are limited in detecting whether patients are having an adequate response to aspirin, which differs from other drugs used for cardiovascular disease like antihypertensives and statins, Voora said in an interview. “The main finding of our study is that we’ve developed a whole blood-based biomarker that physicians could potentially use as a diagnostic test to identify those who are adequately responding to aspirin or not, and also to identify those individuals who are at highest risk for MI and death in patients who are taking aspirin,” he said, adding that further validation of these proof-of-principle findings is needed. In the current study, the researchers examined the feasibility of using an RNA profile from whole blood — the ARS — as a biomarker for the response to aspirin. After giving aspirin to 50 healthy volunteers in a discovery cohort, 53 volunteers in two validation cohorts, and 25 outpatient cardiology patients, Voora and colleagues identified sets of co-expressed genes that were associated with platelet function. Platelet function was assessed using the platelet function score for the healthy volunteers or the VerifyNow Aspirin assay for the cardiology patients. The ARS, which include 60 co-expressed genes, was selected for further study. The ARS was associated with platelet function in all three groups of patients, even after adjustment for mean platelet volume and count. The relationships were seen only after the administration of aspirin, however, “suggesting that the latent effect of ARS genes on platelet function is unmasked in response to aspirin,” the authors wrote. In two cohorts of patients who were undergoing cardiac catheterization at Duke University — the CATHGEN cohorts — the ARS, as well as one of the component genes (ITGA2B), predicted death or MI after adjustment for traditional cardiovascular risk factors. And the ARS appeared to add some prognostic value to the traditional risk factors. Compared with a model using risk factors alone, adding information from the ARS improved net reclassification and integrated discrimination. Also, Voora noted, it’s unclear what the treatment approach should be for patients who are identified as having an inadequate response to aspirin, an area of research that is being pursued by his group. The study was funded by institutional funds provided by the Duke Institute for Genome Sciences & Policy, an NIH T32 Training grant, a grant from the National Center for Research Resources (NCRR) and NIH Roadmap for Medical Research, a grant from the National Institute of General Medical Sciences, a grant from the CDC, and the David H. Murdock Research Institute. Voora and five of the study authors have filed a provisional patent application regarding the ARS. The study authors reported relationships with United States Diagnostic Standards, CardioDx, Pappas Ventures, Universal Medicine, CellGenex, Amylin, Bristol-Myers Squibb, Daiichi Sankyo, Genentech, GlaxoSmithKline, Merck, the MURDOCK study, the National Heart, Lung, and Blood Institute, Novartis, Roche Diagnostics, Janssen Pharmaceuticals, Navigant, and Daiichi Sankyo-Lilly.